Say hello to John, today’s protagonist. This medieval gentleman had the misfortune to die young—which may be why he is mostly remembered for being a good and loyal brother. One of the (few) benefits of dying young is that generally you have not developed those less-than-stellar qualities that go under the label vices. Instead, a nimbus of purity and innocence surround those who death takes at an early age—as is the case with John. John saw the light of the day in 1316. He was the second son of Edward II and his wife, Isabella of France. I have written at length about Isabella in a previous post, but for those of you who just don’t feel like spending too much time refreshing your memory, Isabella and Edward were married in 1308. There are those who say this was an unhappy marriage from day one, but I beg to differ. First of all, neither Edward nor Isabella were marrying for love. This was a dynastic marriage: he wed Isabella so as to forge a strong alliance with France. She wed Edward because her father wished it so. None of them expected a HEA – they wed for political reasons and would have had the corresponding expectations. He expected her to give him sons. She expected him to treat her with courtesy and respect. Over time, some sort of affection would develop. Hmm. At the time of their marriage, Isabella was around twelve, Edward was pushing twenty-four. No wonder he preferred other companions to his child-bride. Also, Edward had his hands full getting to grips with this kingship thing. His father had died in 1307, and it was a tough challenge to shoulder the crown after the very forceful and bellicose Edward I. Some say Edward II was a weak and incompetent king, a far cry from his father. I agree: Edward was not a competent king—at least not in a brutal medieval context. But from there to assume he was all that different from his dad, well, I don’t know. Once upon a time Edward I was something of a party-loving prankster, more into amusing himself while biding his time for dear Papa to die than actually doing anything of worth. Then, as they say, things happened. In this particular case, Simon de Montfort’s bid for power happened and Prince Edward (the future Edward I) was scared out of his braies by de Montfort’s attempts to curb (and control) royal power. From one day to the other, Edward was obliged to grow up: into the crucible rode a relaxed and somewhat entitled youth. Out of it emerged a hardened young man, determined to never, ever tolerate any attempts at controlling him—or rebelling against him. 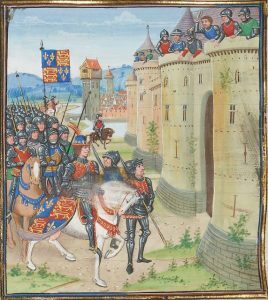 A case in point is how he handled the Welsh situation in the 1280s, crushing the remnants of the Welsh principality underfoot in his determination to stamp out the rebellious and treacherous Dafydd ap Gruffydd. Edward II was born after the Welsh conquest. He grew up in a kingdom capably managed by his father, a world in which there were no threats to the order of things, according to which the king was right at the top and best no one forget that. No baptism by fire for the future Edward II. Add to this the crippling weight of expectations that burdened him—he was Edward I’s only surviving son until 1301—and one gets the feeling Edward II’s childhood/youth was not an entirely happy place. In 1308, Isabella would have been considered too young to bed. For a girl not quite thirteen to become pregnant came with substantial risks and so it is likely consummation was put off. This was NOT because Edward II preferred sharing his bed with dear Piers (even if he does seem to have loved Piers very, very much) but because he wanted his wife to be old enough to survive the ordeals of childbirth. In 1312, Isabella was old enough to give Edward a son, a boy named after his father. Four years later, John saw the light of the day at Eltham Palace which is why he is usually known as John of Eltham. Edward II was pleased: he had a healthy heir and now an equally healthy spare. He arranged for cloth of gold to be delivered for the baptism of his youngest son and paid the messenger who’d given him the news of his newborn boy the princely sum of one hundred pounds. Yes, life was good—well, at least as far as siring a son went. Life in general in England was not quite as good. In 1314, the English had been utterly humiliated at the Battle of Bannockburn, inclement weather resulted in bad harvests and starving people, and in the north Edward II’s cousin and largest burr up his arse, Thomas of Lancaster, was being his usual obstructive and difficult self. None of this, of course, had any impact on the life of baby John who was bundled off to be raised with his brother, with regular visits from Mama and Papa. However, the increasing political turmoil was to throw a major shadow over John’s childhood. Come 1324, his parents were no longer all that affectionate towards each other. That’s what happens when the husband deprives the wife of her income and motivates his actions by stating that she is French and therefore potentially his enemy seeing as England and France were locked in armed conflict over Gascony. Isabella was not happy. In fact, she was royally pissed. Even more, she seriously resented the growing power of the new royal favourite, Hugh Despenser. By now, Isabella was pushing thirty, an attractive and intelligent woman who disliked being relegated by the sidelines by the grasping Hugh. And this thing with depriving her of the income of her dower lands—no, that was too much. So Isabella bided her time while planning revenge which is why, in the autumn of 1326, Isabella and her new BFF, Roger Mortimer, led the rebellion that would end with Edward II’s abdication, Hugh’s gruesome death and the crowning of John’s big brother as Edward III. John of Eltham was now ten. During the autumn of 1326 he had spent most of his time within the protective walls of the Tower and I imagine there were moments when he’d been very afraid, especially when the London mob went a bit wild and crazy. By February of 1327, his world had been totally upended. His father (who, by all accounts, was an affectionate father) was kept under lock and key at Kenilworth. The woman who had been in charge of his upbringing, Eleanor Despenser, was now a grieving widow. His fourteen-year-old brother was king but the real ruling was done by dear Mama—and Mortimer. Very confusing for a boy of ten. It was probably just as confusing for Edward III, with the added spice of guilt, as the new young king was no fool and was fully aware of the fact that he had been instrumental in gathering support for his mother’s rebellion. As Edward grew to manhood, he began building a tight-knit group of friends and companions. Our Ned was something of a social networking expert, befriending the sons of his father’s supporters with as much ease as the sons of those who had stood with Isabella. Over time, more and more of the English barons became disenchanted with the Isabella-Mortimer combo. So too Edward, who wanted to rule in his own name and was worried that Mortimer and Isabella might take drastic measures to keep him in line. During the last few years of the regency, John and Edward spent a lot of time together and it is likely Edward confided in his younger brother, sharing with him his fears and hopes. Come 1329 and John’s seal is to be found on more and more official documents. 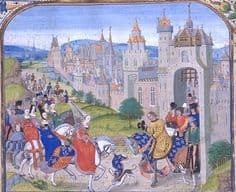 When Edward was obliged to go to France in May of 1329 to do homage for his French lands, John was appointed Guardian of the Realm and until the birth of Edward’s firstborn in June of 1330, John was the heir to the English throne. Late in 1330, Edward (and his companions—perhaps mostly his companions) managed to overcome the powerful Mortimer. By late November, Mortimer was dead, Isabella was in house arrest and Edward was finally king not only in name but also in deeds. Beside him, as always, was his loyal and supportive brother. Two teenage boys, by birth destined to rule, and here they were, faced with the challenge of uniting the realm and maintaining the peace. Edward did a good job of this. He was smart enough to capitalise on the organisation set in place by the very capable Mortimer and once he felt adequately in control over England, he focused his attention due north. Scotland needed to be taught a lesson, the humiliation of Bannockburn had to be redressed. “Hear, hear,” John likely said. The brothers shared a passion and an aptitude for warfare which was why John, at the age of seventeen, played a major role at the Battle of Halidon Hill. This was a day of sweet vengeance for Edward and his brother. The forces of David II of Scotland were routed, the flower of Scottish nobility littered the ground as corpses. Edward’s puppet king, Edward Balliol was proclaimed new king of Scotland while David and his wife Joan (incidentally Edward’s and John’s baby sister) were forced to flee to France. One major defeat did not pacify Scotland. Over the coming years, there was plenty of action up north and John was often in the thick of things, having been given senior command. 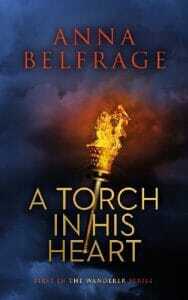 Capable and ruthless, he did not exactly cover himself in glory in the eyes of the Scottish chroniclers. Take, as an example, the sad events surrounding the burning of Lesmahago Priory in 1335. 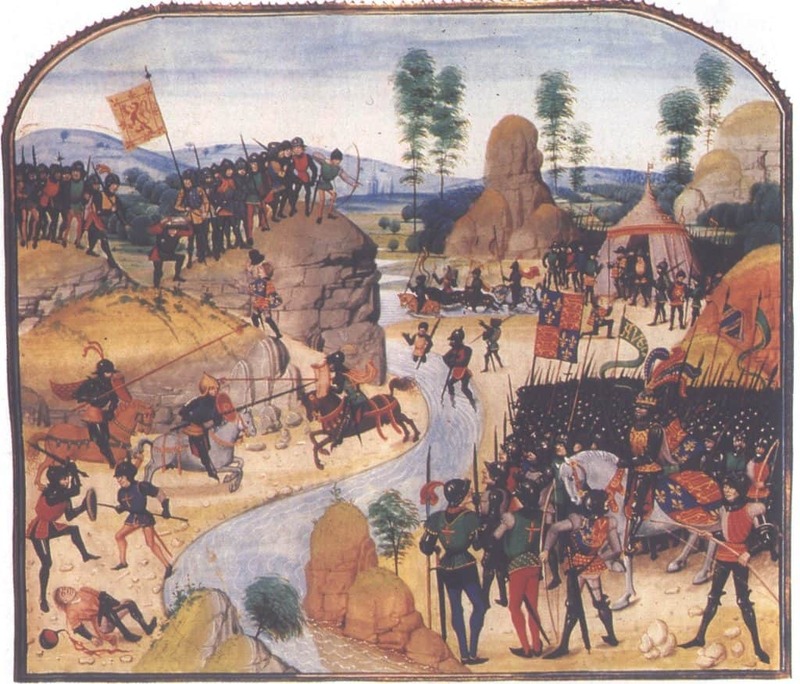 In times of upheaval, the people took refuge where they could and on this occasion people came from the surrounding countryside at a run to Lesmahago priory, desperate to escape the English soldiers led by John. The church was full of people and it is said John ordered his men to set the church on fire, thereby causing the deaths of very, very many people. The Scottish chroniclers went on to say that Edward was so upset by his brother’s behaviour he stabbed him to death. Nope, did not happen. In fact, if John ordered the burning of the priory church, I suspect Edward would have assumed John found this an expedient and necessary thing to do. War was war and casualties were many. In September of 1336, John died. Not due to any stab wounds, but rather due to a fever. His brother was devastated. He ordered 900 masses to be said for his brother’s soul and would continue to give extra alms on the anniversary of his brother’s death for several years. 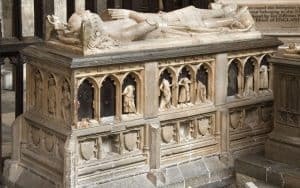 The dead prince was buried in Westminster Abbey and there he lies to this day, surrounded by the remains of his brother and other relatives. John never married. Yes, there were several attempts at finding him a bride, but nothing ever came to fruition. Was John frustrated by this? Did he nag and nag at Edward to find him a good woman—preferably with a nice, sizeable dowry? No idea. To me, John comes across as the derring-do kind of guy, at his happiest astride a horse and with a bloodied sword in his hand. Had he been given time, he would probably have settled down, found a wife and fathered children of his own. This, however, was not to be. Instead, his life ended before it had fully begun and we will never know just what kind of man John of Eltham would have become. Somewhat sad, methinks. I guess his contemporary Scotsmen disagree.